We often get asked, is this your busy season? Our answer is usually, its always the busy season. We do try and stay busy, but the different seasons do always mean different things for us to do, different weather, and a different feel to the farm. The last fall, was, well frankly, horrible. It never rained. Our farm felt like a desert. The dust, combined with the smoke from fires everywhere, ruined my lungs and made me feel absolutely miserable. This fall so far has been lovely, rain occasionally, grass growing like gang busters, hay is plentiful. And the sky, maybe it's cause I've never bothered to look up from my job before, but the sky has been incredible, clear, and beautiful clouds and the most beautiful sunsets. The summer and the fall are pretty different too, summer keeping the cows cool is paramount, with it usually being too hot for the grass to grow well. Summer was also mega project time. We received a grant for a beautiful hay barn, which the deadline was September 1st. This time we made it with a whole week to spare! We're getting super responsible. After all, we only had a year to build it. The hay barn is amazing, super tall and nearly 2,000 square feet. Uncovered hay can lose 35% of it material if it gets rained on over the winter, and the quality getting worse. And our princess cows only want the best hay. 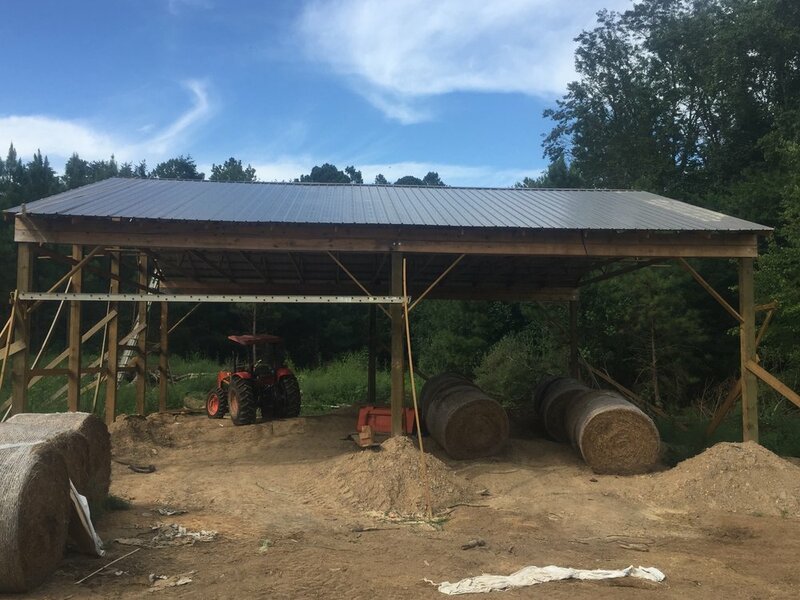 With fall here, it's time to start filling our lovely hay barn up with hay, always a challenge because our cow turns their nose up at hay unless we spend a premium.